Tama DH7 Drum Hammer Tuning Key. A nice usable Premier cast 13" rim in vgc for its age. Drum Hoop 14" x 10 lug (Snare Side) Decent gauge hoop. Rockem Music accepts no responsibility for claims made after 48 hours. A cymbal will not be replaced if it has been: misplayed,used with improper sticks, dropped, played with excessive force or treated abusively; bought second hand or used in a lease program. A pair of 22” bass drum hoops, ideal for spares, replacement of current or a project. Please note these are used so will show signs of wear but nothing that affects the usability of the item. Any questions then please ask. Sonor Snare Drum Die Cast Hoop 14" 10 Lug. Condition is nearly new. Dispatched with Royal Mail 2nd Class. The hoop holds a head great! 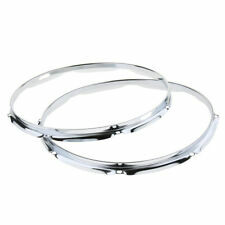 1 Pair Snare Drum Hoop Ring. - Material: Iron. - Easy to install and use. - Thickness: approx. Free P&P. 22" Tama Accu-tune Hoop For Bass Drum. 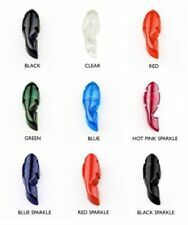 For Drum Kit. One 22" Tama Accu-tune hoop for a bass drum in black. Batter side with pedal indent. Bit dirty but should clean up well. 22” Pearl Export Bass Drum Hoop/ Ring. All fully functioning and in decent working order and condition. manufacturer - Pearl. trim - midnight blue vinyl Which could be removed if wanting black. Black Steel - good, slight markings but in general good. New listingWood bass drum hoops 22"
Only slight signs of wear as shown. 100% functional and all-original. Very nice examples. Also fit Royal Ace and most other 14" 8-lug drums. Rest of World = £22. 'Beer-barrel' profile. Slight signs of wear as shown. 100% functional and all-original. Very nice examples. Silvery - white Inlay. Factory Original inlays. THICK Wooden hoop in good condition - Not chewed. 7/10; £27 (fair few scratches etc but no pitting). 8.5/10; £33 (very minor marks/scratching). USED ITEM! This avoids any ambiguity of the goods sold. Rockem Music accepts no responsibility for claims made after 48 hours. A cymbal will not be replaced if it has been: misplayed,used with improper sticks, dropped, played with excessive force or treated abusively; bought second hand or used in a lease program. Only slight wear in a couple of places as shown. Rare example. 100% functional and all-original. Very nice example. Also fits Royal Ace and most other 14" 8-lug drums. 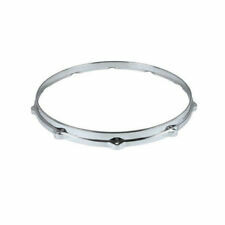 Tama MDH8-4FBN 8" Die Cast Hoop 4 Hole Black Nickel. Regular 12". Rest of World = £18. Very Nice example - SEE PICTURES. Ideal for drum builders or just to give your bass drum a new lease of life. Rockem Music accepts no responsibility for claims made after 48 hours. A cymbal will not be replaced if it has been: misplayed,used with improper sticks, dropped, played with excessive force or treated abusively; bought second hand or used in a lease program. Excellent Quality 20" Maple Bass Drum Hoop / Ring / Rim. Supplied unfinished so it can be stained, waxed, lacquered, painted or just left natural. Rounded front edge. 6-Ply (9mm). In good used condition. Rim width is 43mm. 18" Maple Bass Drum Hoop / Ring / Rim. Supplied unfinished so it can be stained, waxed, lacquered, painted or just left natural. Rounded front edge. Depth = 40mm. Factory Original Polychromatic Silver Inlays are complete and very good colour - see pictures. 12" Cast Drum Hoop. Die-cast hoop. Pair of Pearl Export 14” Tom Drum Hoops / Rings 6 Lugs chrome work - good, slight pitting in places but reasonable manufacturer - Pearl All fully functioning and in decent working order and condition. Maximum photos included to scrutinise so please do as I don’t try and hide anything. Any questions please feel free to contact me and thanks for looking. I do ship internationally but I use the eBay international shipping service. The shipping fees and other possible taxes should be visible for the buyer. I do not use any other service. Please consider this when purchasing any item. Thank you Please see other similar items for sale. Also fits Royal Ace and all 14" 8-lug snare drums. One or two few signs of use AS SHOWN, only slight wear. Nice example - SEE PICTURES. Rest of World = £18. Military Hoop Livery Tape for both top and bottom snare hoops and Bass Drum Hoops. 1 strip will complete one Snare Drum Hoop. For 28inch Bass Hoops 2 strips required. Designed and Printed with laminated Finish for Pro-Corps. Pair of Wooden Bass Drum Hoops - 100% Birch - 16"18"20" or 22"
Tama Star-Cast MDH13-6FH 13" Die Cast Hoop 6 Hole Gold. In great condition, just a few marks and a little dusty. Could nearly pass for new. This avoids any ambiguity of the goods sold. Rockem Music accepts no responsibility for claims made after 48 hours. 14" 10-Lug Triple Flanged BOTTOM Hoop for Snare Drums. Vintage Premier 50’s 60’s 16” x 18” concert floor Tom, with 10 lug, cast hoop three legs with spring release clamps. In good working order. Horrible non original wrap, no badge present. Great for parts or re wrap project. A very rare item indeed. The chrome work is in great condition.